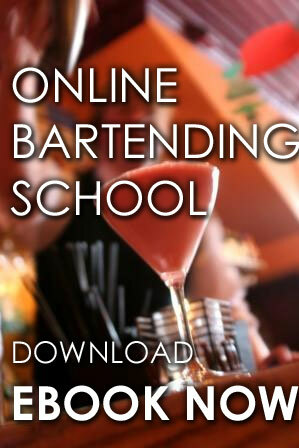 Bar tending is a job for those who really want it and don’t forget that there are great perks to becoming a bartender. Are you still in doubt? Here are some reasons that will help hasten your decision. One of the first reasons to become a bartender is the fact that you get to meet new people almost on a daily basis, you also get to make friends that will eventually last. 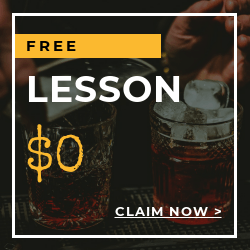 Working in the bar tending industry will help you meet great and unique people. You get to interact with people on both sides of the bar because your job gives you that luxury and opportunity. So basically, while standing on the other side of the bar, doing your job efficiently, you still have the time to meet new people. The people skills you learn can get you very far in life as you can apply it in almost every field you find yourself in. Another reason work in the bar tending industry is the cash, the money. Most people frown at the idea of becoming a bartender just because they think the pay is lousy. Well here is something you should also think about; bartenders get the highest tips compared to any other jobs you know of. Some bartenders pay their bills and other things by living off their tips while they go ahead and save their regular checks. One of the most important reasons to become a bartender is the fact that you can be working and still have to do other things such as going to school. In fact, you can go to school full time, as most bar tending jobs gives you the option of working about two to three times a week. This means you can go to school and still make the same amount of money a person working a full time job makes. These flexible hours doesn't just benefit college students, it benefits those who also have their own private businesses on the side or those that run a small company. You will have enough time for yourself to other things, less hours at your job and still make money. 4. Paid to Party? Well, almost. It is a fun job. Being a bartender has its advantages such as having fun while working. It depends on where you work, for those who work in the club have all the fun. 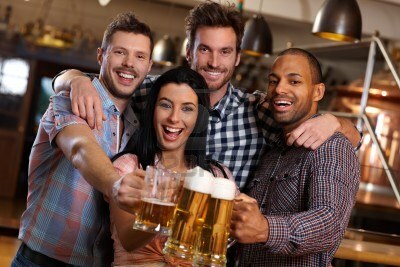 You get to see people unwind, listen to goo music, meet beautiful people and just have fun overall while bar tending. It’s a pretty good catch as you can’t work in the office with very loud music on. Bar tending is fun; you get to tell jokes to a ready audience trying to get drinks from you. You shouldn't also forget about other people you work with say the chef, which means once in a while you get free food. Who says bar tending isn't fun? Knowing different types of drinks that most people out there don’t about makes you special. That is a skill your career as a bartender offers you and it makes you unique from your regular office workers. Bar tending is a skill that most people don’t possess but here you are, attending to customers and pouring drinks for people to make them feel good. Mixing up drinks beyond the regular cocktail will be appreciated especially in social gatherings. You will be admired by both your friends and customers. This skill can give you potential for advancement and take you very far in your career. If you work hard, you can go far and work for exclusive bars, clubs and be on hire for social gatherings of the high and mighty in the society.